LAST CHANCE – TICKETS ONLY $50! 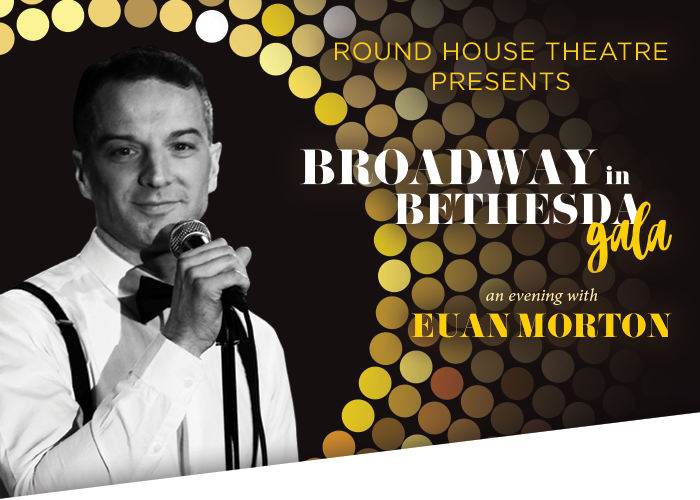 From Boy George to King George, "honey-voiced" (USA Today) Euan Morton has made audiences and critics alike swoon from Broadway to the Beltway. And now the “silver-piped crooner,” who the Washington Post also says is “possessed of a vocal instrument so creamy it could be poured in a malt shop,” is taking the night off from Hamilton to grace our stage with a one-night-only celebration of song. Join us for his favorites—and some of yours—along with our exclusive LIVE Gala Auction, PLUS Cocktails and Confections Post-Show Party! Cocktails and Confections Post-Show Party! Click here for dinner packages and sponsorship opportunities.